If it weren’t for Delran High School, Miranda Powell and Bill Haas most likely would have never met. And since the duo are co-founders of Camden Comic Con, it’s quite possible this free celebration of comic books, popular culture and all things “geeky” may have never come to fruition, either. Powell credits her involvement in student council and a myriad of other high school clubs as perfect preparation for college and, beyond that, for how to engage and work with the community. 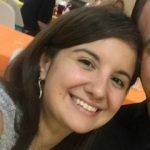 “I did get good experience on how to plan events, how to work on a team, how to work with different departments,” Powell, a 2007 Delran graduate, said. And if Camden Comic Con is a testament to that fact, Powell may be underselling herself. 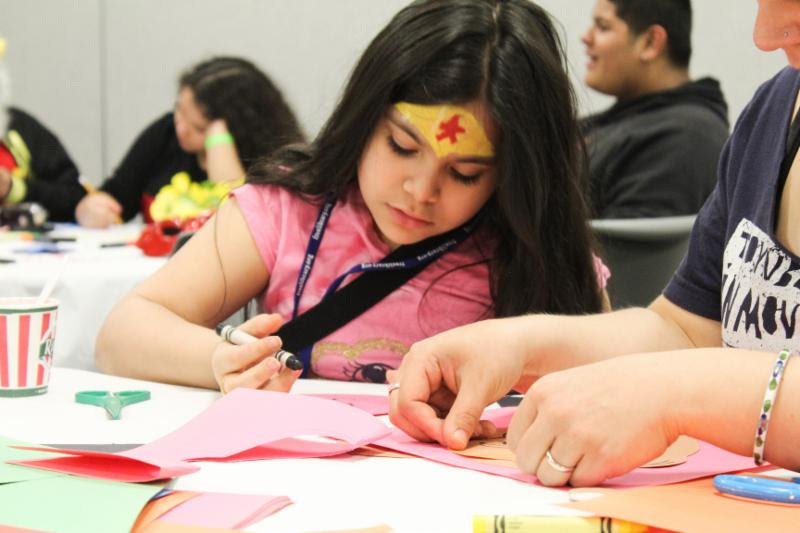 Since starting in 2014 as a comic-themed exhibition at Rutgers Camden Center for the Arts, where Powell is the Arts Education and Community Arts Programmer, Camden Comic Con has grown to include workshops, more than 150 vendor tables, a food truck festival, live music, costume contests and, of course, a chance to meet and interact with big names in the business, from comic creators to writers to illustrators and more. Last year’s event drew more than 4,000 attendees, and this year – with the event taking place in tandem with Rutgers Day – it’s expected to draw more than 5,000. When Powell spearheaded the comic exhibit in 2014, she knew she wanted it to be authentic. She also knew her personal comic book knowledge was lacking. That’s where Haas came in. The longtime comic fan admits he wasn’t upfront about this interest when he and Powell first started dating (the two have been together 13 years and are now engaged), but as time went on, “it sort of came out,” Haas said with a laugh. Haas’ love and knowledge of the genre paired with Powell’s experience and expertise in community engagement turned out to be the perfect recipe for Camden Comic Con success. The programming is kid-friendly, so the event is a draw for families, too. There’s an “educational slant all the time,” Powell said, but it’s always fun. This year’s headliner, who will do a Q&A at the event, is Gerry Conway, creator of “The Punisher” and co-creator of “Captain Marvel.” Other guests include “GI Joe” creator Larry Hama, “Black Panther: World of Wakanda” creator Alitha E. Martinez, and Mark McKenna of “The X-Men” fame, among many others. The vendor area, Haas said, has a festival feel. There are veteran vendors, and also crafters and local artists not yet established, working to be part of the industry. There’s money changing hands, but it’s also fun to just walk around, according to Haas. “There’s costume contests. We’ve had bands in the past. This year we have a string quartet,” he said. 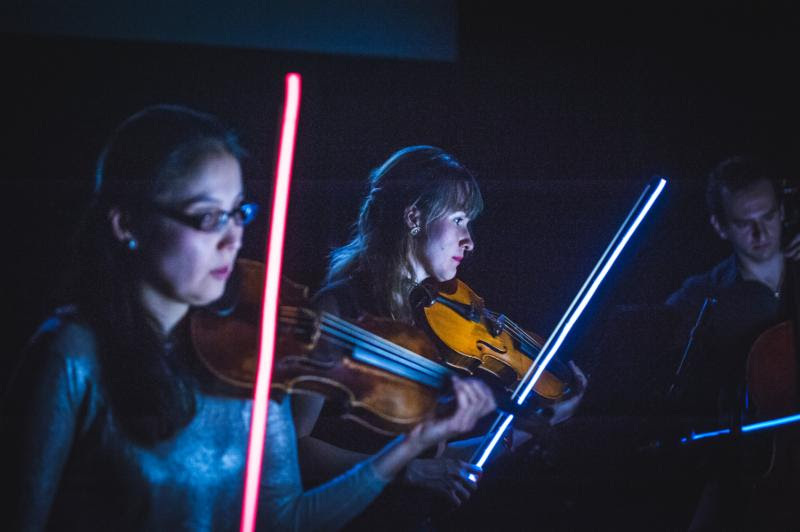 Elegance String Quartet is a “really cool, immersive experience,” Powell said, using video in the background and interaction with the audience as the musicians perform a one-of-a-kind repertoire based on TV, movies and video games popular in geek culture. The first year the group took part in Camden Comic Con, the artists even came equipped with their own handmade light saber bows for their instruments. While one wouldn’t guess it based on its current success, Camden Comic Con wasn’t smooth sailing from day one. For one thing, many people told Powell and Haas not to use “Camden” in the name. They also faced problems at first by making the event completely free. 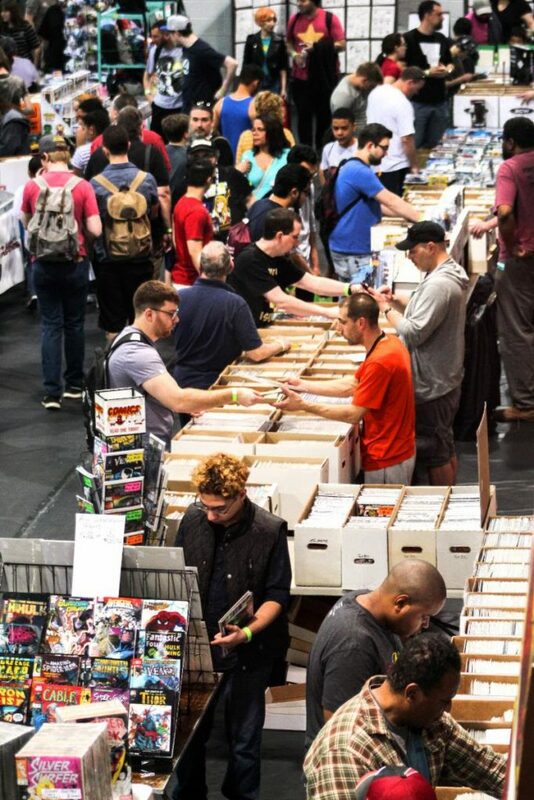 Powell and Haas are grateful to Rutgers Camden – their alma mater – for supporting Camden Comic Con from the start, helping to promote the event and encouraging faculty, staff and student volunteers to help it succeed. “It’s a community that comes together to then serve a larger community,” Powell said. And even though Powell and Haas now live in Barrington, their Delran roots have an active influence on Camden Comic Con. For instance, Delran High School teacher Phillip Palumbo brings his Delran Film Club to the event every year. The group shows student film projects, brings items to sell as a fundraiser and, this year, is even making a comic book to share. To learn more about Camden Comic Con, visit camdencomiccon.com.